Get close to the Bella Lingua and Bella Vita of Italy … without leaving Manhattan! At Collina Italiana (CI), we offer Italian language and culture programs both on- and off-site. Lovers of Italian language and culture soon discover that CI classes offer a unique opportunity for a comprehensive learning experience without leaving the city. 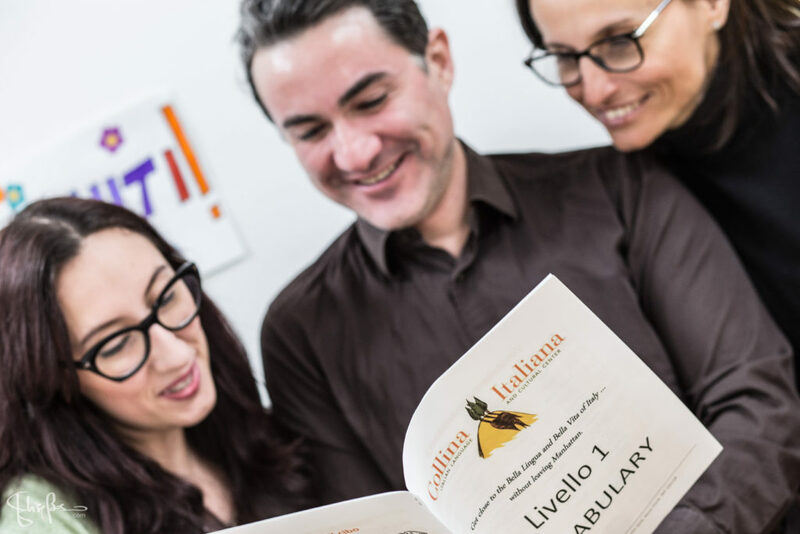 Located on the Upper East Side at 1556 Third Avenue (near the 4,5,6 and Q trains at 86th Street), our language and cultural center is known for offering Italian classes in a contemporary setting. We offer year-round group and private lessons, tutoring services, specialty classes, and children programs. Registration for adult and children’s groups and individual classes is ongoing. Collina Italiana director, Patrizia Saglio, welcomes you to a unique language program in an authentic Italian setting in which you’ll learn the Italian spoken today and discover the contemporary culture of Italy through the culinary arts, wine, film, lectures, conversation, outings, and lots of fun and interesting events.